Stories are told from time to time and then retold and retold about whales attacking sailboats. Some of them sound fanciful and are third and fourth hand. Here is a current account of what appears to be a genuine attack by whales or whales on a sailboat yesterday off the Baja California coast. The boat sank in a matter of minutes but no one was seriously injured. Little information was dispensed yesterday by the California stem cell agency about the first step in what is proposed to be a $500 million loan program for the biotech industry. But a biopharmaceutical industry blogger provided some information about the $20 million loan to Novocell, Inc., a San Diego stem cell engineering company with an emphasis on diabetes therapies. It is the first beneficiary of the loan program. CIRM directors approved the loan to help develop a novel cellular therapy for diabetes. The disease team effort includes a $2.8 million Novocell contract with Jeff Bluestone of UC San Francisco. “West...says the cash infusion from 'the stem-cell experts' was a validation of the firm's work and puts it in a 'good position' to look for its next round of venture funding. “There are some minor details to work out first, though. West says Novocell hasn't yet received a loan document from CIRM and isn't exactly sure about the terms. Based on the loan program's guidelines, West is aiming for 10% warrant coverage and a payback period closer to 10 years, the far end of the range. 'We have a good feeling we'll work it out,' said West. The California stem cell agency's $230 million disease team research effort, which boosted CIRM's spending beyond $1 billion, attracted moderate news coverage this morning and late yesterday. Some publications, however, appeared to ignore the story entirely, including the Los Angeles Times and The Sacramento Bee, based on our Internet searches. The performance of the Times was particularly strange since more than $80 million is going to institutions in that area. "These are not well-placed bets. These are carefully considered projects. We are not casually throwing away money hoping we'll get a cure at the end of the day. We're moving forward aggressively but with a rigorous review of science." The Chronicle, New York Times, Nature and the San Diego Union-Tribune all noted that most of the disease team grants do not involve human embryonic stem cell research, which was the rallying cry for Prop. 71, the political device that created CIRM. Thomas Kupper of the San Diego paper called that fact ironic. On an industry blog, In Vivo, Alex Lash focused on Novocell, which will receive CIRM's first-ever loan for its research. The Toronto Sun carried a small story. It appears that coverage was light in Canada and the United Kingdom, probably because the size of the grants involved there was relatively modest. "The others will use so-called adult stem cells or conventional drugs intended to kill cancer stem cells, which are thought to give rise to tumors." California's stem cell research effort today climbed over the $1 billion mark with its whopping disease team round. The awards began generating news coverage internationally this afternoon, and more stories will surface later today and tomorrow. “Only a handful will employ human embryonic stem cells, despite the fact that most of the fanfare surrounding the passage of Proposition 71, the ballot measure that created CIRM, concerned the fact that CIRM would fill the gap left by a lack of federal funding for work on these cells. But Bob Klein, architect of Proposition 71 and chair of CIRM's governing board, said, 'Our commitment to the voters was that we would pursue the very best cell type for each disease based on the scientific and clinical evidence.'" Rob Waters of Bloomberg emphasized the business aspects and had a separate piece on Sangamo Biosciences of Richmond, Ca., a publicly traded company that shared in a $14.6 million award with City of Hope in Duarte, Ca. Oddly, the largest newspaper in California, the Los Angeles Times, had not carried a word as of this writing on the roughly $80 million in grants to institutions in the Los Angeles area. The New York Times may well have story late today or tomorrow. Its Los Angeles-based reporter, Andy Pollack, could be seen on the Webcast of the news conference, asking a question about the slim use of human embryonic stem cells in the disease team grants. The California stem cell agency has posted its press release on the largest research round in its history. The California stem cell agency today formally awarded $230 million to 14 teams of scientists in the largest and most ambitious round of research grants in CIRM history. Already the world's largest source of funding for human embryonic stem cell research, the $3 billion agency said the grants and loans would lead to the beginning stage of clinical trials in four years. The disease team round also marks the first foray into what is expected to be a risky, $500 million loan program for the biotech industry. The round is additionally a critical step in building support for continued funding of the agency, which will lose the ability to finance itself sometime in the next decade. The goal of the disease team effort is to generate filings to begin a clinical trial within four years or less. That would presumably lead to creation of therapies that could alleviate the suffering of thousands. CIRM could also use the results to ask the legislature or the people of California, by ballot measure, for additional funding. The disease team round is the first major effort involving international partners, Canada and the United Kingdom. Organizations in those countries are collaborating with California partners and adding many more millions to the research largess. Some CIRM directors seem to be concerned about the overall size of the disease team package and the original budget of $210 million. Directors of the California stem cell agency this morning gave a positive nod to an attempt to win approval of an application from the City of Hope in the agency's disease team round. The board approved, on a unanimous vote, a motion to move the application into the first tier of grants expected to be approved later today. The grant was proposed by Karen Aboody of City of Hope in Duarte, Ca., to study development of treatments for brain tumors. Aboody filed an extraordinary petition to overturn a negative decision by CIRM reviewers, who gave the application a score of 43 on a scale of 100. CIRM Vice Chairman Duane Roth said he would support the grant because information in the review was incorrect. Another director concurred with Roth's comments. The size of the grant was not immediately available. Directors of the California stem cell agency turned back an attempt to win approval of a $17 million application from the Buck Institute on a stem cell research proposal involving Parkinsons disease. The board rejected, on a 6-11 vote with one abstention, a motion to move the application into the first tier of grants expected to be approved later today. The grant was proposed by Xianmin Zeng of Buck and co-PI Mahendra Rao, vice president of Invitrogen and former head of the stem cell group at National Institute of Aging. Scientific reviewers gave the application a score of 53 and did not recommend it for funding. Zeng filed an “extraordinary petition” and personally appeared before the board this morning. She said the criticisms by reviewers were minor or technical and have already been addressed or are being addressed. The motion to move ahead on the grant was offered by CIRM Director Joan Samuelson, who has Parkinsons. The board of the California stem cell agency has resumed its discussion of disease team grants and loans. Currently it is considering an effort by Xianmin Zeng of the Buck Institute for Age Research to overturn a negative decision on her application by science reviewers. Here are links to documents relating to the California stem cell agency and complaints about fairness in its grant review process. Text of CIRM policy on appeals via "extraordinary petition." Proposal by CIRM Director Jeff Sheehy on grant appeals, July 2008. Transcript of the January 2008 CIRM directors meeting, which heard the first public appeal of a scientific review. Search on the term "luben," which is the misspelling of the name of Bertram Lubin, president of Childrens Hospital Oakland Research Institute, who appeared before the directors seeking reconsideration. 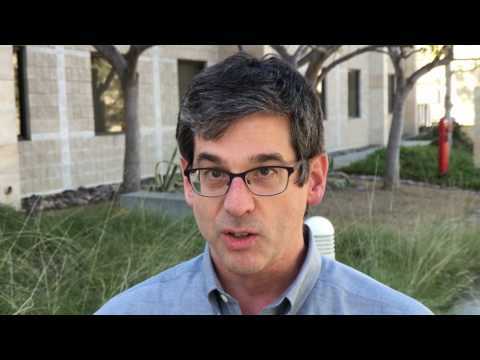 A $20 million grant application from reknown scientist Irv Weissman of Stanford tonight avoided disaster as CIRM directors overturned a decision by scientific reviewers to reject the proposal. The application was moved, 14-2 vote with two directors abstaining, into the top tier of disease team grants that are headed for approval by the directors tomorrow morning. Another $20 million application from Stanford's Gary Steinberg was also moved into the first tier on a separate vote, which was either 13-3 or 12-4. One director's vote was inaudible on the Web audiocast. The Steinberg and Weissman applications bring to 13 the number of grants in the first tier for a total of $207 million. That is just under the $210 million budgeted for the disease team effort, the largest research grant round in CIRM history. Both applications were the subject of an “extraordinary petition,” along with four other applications. One of those efforts was not successful tonight. No director made a motion to move a $12 million proposal by Aileen Anderson of UC Irvine to the first tier. The directors have recessed until tomorrow morning. They did not take up the other petitions tonight as they worked their way through the grants that CIRM's grant reviewers said were not worthy of funding. Weissman's application received a scientific score of 65, below the cutoff line of 70. Steinberg's and Anderson's scores were not available. Regarding the Weissman application, CIRM Chairman Robert Klein said some of the reviewers may have been less than objective because they do not believe that cancer stem cells exist. The subject is a matter of some scientific dispute. CIRM President Alan Trounson disagreed with Klein on the possibility of prejudice but said that the grant could be worthy of funding. Director Ted Love, who served as CIRM's chief scientific officer during the review, said the board could feel comfortable funding the grant or not. He said he did not think it would be “unwise” to fund the application. Weissman's name was not mentioned during the discussion, but some commented about respect for the principal investigator. The United Kingdom is also involved in the grant, providing an additional $4.3 million, according to Trounson. Six research teams that lost out in CIRM's closed door reviews of their applications for up to $20 million dollars are now seeking to overturn the decisions. The rejected applicants include three from Stanford(Irv Weissman, Judith Shizuru and Gary Steinberg), one from the City of Hope (Karen S. Aboody) in Duarte, Ca., one from UC Irvine(Aileen Anderson) and one from the Buck Institute(Xianmin Zeng) in Novato, a town north of of San Francisco. Their “extraordinary petitions” are not yet available on the board's agenda, but their existence was confirmed by John M. Simpson, stem cell project director for Consumer Watchdog of Santa Monica, Ca. Simpson was attending the meeting in Los Angeles and supplied the applicants' identities from CIRM documents available at the session. We queried him about the petitions after hearing a partial comment on the Web audiocast of the meeting, which has been largely muddled at our location in Mazatlan. Simpson also said that one key board member told him that the six petitions raise “substantive scientific issues.” The efforts to overturn the negative results raise some other interesting issues because CIRM budgeted $210 million for the disease team grant round while reviewers only approved $167 million. The extraordinary petition process is relatively new at CIRM. It was created in September 2008 in response to public appearances by rejected applicants at CIRM board meetings. None have been successful using that method and none have been successful in using the extraordinary petition process. A number of board members have been clearly uncomfortable with the public presentations by unhappy applicants. They have also been loath to overturn the decisions of the Grants Working Group and the scientists who are members of it. The issue bubbled up in June 2008, leading to an extended public board discussion of the appeal or reconsideration process. CIRM allows "appeals" only in the case of conflicts of interest on the part of reviewers. However, reviewers do not have to publicly disclose their economic or professional interests. The extraordinary petition process requires the applicant to file a request for reconsideration five days prior to a directors meeting. CIRM's president will then evaluate it and make a finding on whether it has merit. Here is an account of how the petition process worked last January. Directors of the California stem cell agency have gone into executive session to discuss confidential information related to applications for $167 million grants and loans in the agency's disease team round. The CIRM board moved into closed door discussions tonight shortly after the CIRM staff presented a brief overview of the round. It is not clear when the board will return to open session. The California stem cell agency has posted the slides that its president, Alan Trounson, will use to brief directors this afternoon on the state of CIRM. They include his assessment and summary of recent stem cell research worldwide, his priorities and upcoming rounds for new grants. Also on tap is a briefing by Geoff Lomax, senior officer for medical and ethical standards, on CIRM's Compliance Program. It is a presentation that CIRM grant recipients and their allied institutions should pay close attention to. The California stem cell agency began 2009 with an alarming and surprising report about its financial condition. Today the picture is much brighter. John Robson, vice president for CIRM operations, is scheduled to brief the agency's directors this afternoon about the current state of CIRM finances. His best news will be about the $118 million CIRM received from the recent California bond sale. The cash will provide funding up to about June of 2011. Unless something truly catastrophic happens, California is likely to sell billions in more bonds between now and then, some of which will keep CIRM research funds flowing. In response to a query, Don Gibbons, CIRM's chief communications officer, also told us a few days ago that $14.8 million of previous CIRM(state) debt has been reclassified as tax-exempt bonds. That means lower interest costs for the state. Seventy-three pilgrims started out on California's disease team trail last March, looking to share $210 million. Only 11 have finished, unless the men and women who control $3 billion decide differently. The initial number of stem cell argonauts was substantially less than predicted by Alan Trounson, president of the California stem cell agency, which is financed by $3 billion borrowed by the state. Last January, Trounson told CIRM directors that he anticipated more than 100 applicants. The prizes were alluring: up to $20 million each. But only 73 teams filed “pre-applications,” Trounson said in April. Thirty-two of those were invited to submit full applications following CIRM's new grant triage process, which involved scientific specialists from outside California and CIRM staff. CIRM is ballyhooing the international aspects of the disease team round, whose original California budget was $210 million with up to 12 successful teams. The 11 likely winners account for only $167 million. But funds from the United Kingdom and Canadian teams will boost the combined total to $200 million, according to CIRM. The results of the disease team round could be an important indicator of CIRM-industry relations. Some businesses have expressed dismay in the past with CIRM after their applications were denied, sometimes appearing at board meetings to vent their concerns. They are generally rebuffed by directors. Trounson and others, however, have been talking for months about improving ties with the biotech. The updated strategic plan(also up for a final vote this week) calls for closer links. And Trounson has created a new position (yet to be filled), vice president for research and development, to help encourage more amicable relations. He is hoping to attract a candidate with industry experience. CIRM reviewers rejected 20 disease team applications. Based on our latest look at the agenda, none have sought to overturn the result via the agency's “extraordinary petition” process. But those appeal letters often show up late publicly. Any applicant can also appear before the board and ask for reconsideration of reviewers' decisions for any reason. Few have. Only four applications received scientific scores above 80. The highest was 90. The other seven ranged in the 70s. Rejected applicants fell below that line, although their scores are not released publicly. The general ranking of the unsuccessful applicants can be determined by examining the listing of the grants. CIRM has made a practice of ordering all the application summaries by their score. For example, application 1480 is the first to fall below the 70 cutoff. If CIRM follows past practice, 1480 has a much higher score than the last application, 1449, listed on the summary. Sometimes CIRM directors have discussed whether the difference between a score of 70 and 68 has any significance. Those discussions usually come up when they are considering moving an application out of the “not recommended” category. Given that there is more cash available, some directors may move to approve an application just below the cutoff line. Directors, with the exception of those on the grant review group, do not have access to the full application. Nor are the names of the individuals or institutions disclosed to directors, although considerable information is contained in the review summaries that provide clues to applicants' identities. Since many of the 29 directors come from institutions that often have applications before CIRM, the votes of the “non-conflicted” board members (mainly patient advocate representatives) are very important in order to complete legal action on the applications. This week's board meetings of the California stem cell agency, during which the panel will give away $167 million, can be heard by interested parties via an audiocast on the Internet. The actual public meetings tomorrow and Wednesday will be in Los Angeles with a remote teleconference location at ValleyCare Health Systems in Pleasanton in Northern California. Specific instructions for the audiocast can be found on the agenda, along with the address in Pleasanton. The California stem cell agency today began trumpeting this week's disease team grants to the mainstream media, proclaiming that it means $200 million for researchers in California, the United Kingdom and Canada. CIRM issued an advisory to news outlets, presumably globally, that a news conference will held at 11 a.m. PDT on Wednesday at the Luxe Hotel on Sunset Boulevard in Los Angeles. Six winning scientists will be available to answer questions, CIRM said, although the awards have not yet been approved by the CIRM board. That, obviously, is a technicality. Grant reviewers have already made the de facto decisions, approving 11. Legally, however, the CIRM board has final say. It begins a two-day meeting at the Luxe tomorrow. CIRM has promised the appearance of six government officials, including one each from the UK and Canada. Also on hand will be patients living with diseases targeted by the awards. Those are the folks who are going to be the selling point for TV coverage. They are much more sympathetic and appealing than say, for example, Herb Schultz, a senior adviser to the California governor and one of the six government officials who will be on the scene. For those of you unfamiliar with PR drum-beating, the CIRM news advisory is the easiest part of the process. Phone calls will be made along with additional emails. Information specific to various areas will be fed to reporters and editors. Promises about exclusive interviews will be tendered. Whatever it takes. And that is as it should be if CIRM is going to make the most out of what it views as a critical round of grants that may have a lot to do with building support for its continued existence. CIRM is barred from spending money out of state. Cash for the research in the UK and Canada will come from those countries, but the winning scientists have joined together in teams. The Sacramento Bee today carried an instructive piece that has implications for governmental enterprises that engage in major outside contracting and need complex computerized systems to monitor data and dollars. That includes the California's $3 billion stem cell research effort. CIRM would be out of business without its outside contractors, which it is compelled to use because of a legal cap of 50 on staff size. The agency is also wrestling with a computer system to monitor the performance of its grantees and manage its multi-year grants, which will total nearly $1 billion by the end of this week. The Bee's article by Robert Lewis is a fine piece of investigative reporting. Lewis chronicled the ins-and-outs of an effort to computerize the state's court system. The project began in 2001 and now faces costs close to $2 billion, but it is years away from completion. The original cost projections appear to be unknown. The Bee quotes a court spokesman as saying costs estimates “at junctures where critical decisions were made” do not exist. How much has been spent so far? Court officials could not provide an answer. Lewis' article notes that the state court project ballooned without the scrutiny that other state computer systems face. That's because the courts are an independent branch of government. CIRM is not an independent branch of government, but it receives even less normal state oversight, which usually comes from either the governor or the legislature. Lewis does not identify a particular point where the the state court effort went wrong, although the court system severed ties with one major contractor in midstream. The project seems to have grown willy-nilly with differing goals, lack of a cohesive plan and huge no-bid contracts. Court officials also apparently ignored advice that called for a “business case” justification that would spell out the project's objectives. The history of the CIRM project does not instill confidence. In October 2007, CIRM directors were told that the “complete cost” of the system would be $757,000. By the following spring, CIRM was seeking additional help at a cost of $85,000. By this year, the original contractor, Grantium, no longer was working on the project. Other contractors had been hired, at a cost of more than $350,000. Just last month, CIRM advertised on its site for more programming assistance. CIRM has made no public disclosure of all the costs of the system since the beginning of the Grantium contract. In July, John Robson, vice president of operations for CIRM, differed with our reports of “disarray” in the grants management system. Robson, who did not join CIRM until after Grantium was selected, said the current system provides all the necessary information but is labor and time intensive. That is not a small consideration given the tiny staff (40 something) at CIRM. Robson also predicted that the current grants management system will save money compared to Grantium. The California stem cell agency has pinpointed 11 likely winners of grants and loans up to $20 million each in the agency's ambitious disease team round, which was once projected at $210 million. The awards are scheduled to be formally approved next week by the CIRM board of directors at a two-day meeting in Los Angeles at the Luxe Hotel. CIRM's Grants Working Group decided earlier that 11 proposals merited funding. The CIRM board almost never rejects a recommendation for funding by its reviewers. The cost of the 11 applications is $167 million, well below the $210 million budgeted for the disease team round. Twenty other proposals were rejected by reviewers who gave them scientific scores of less than 70 on a scale of one to 100. Some patient advocates for the rejected research, which includes projects involving Huntington's Disease and spinal cord injury, are likely to make a pitch at the CIRM board meeting for funding of some of the rejected applications. The CIRM board has final authority to make the grants, although it is loath to overrule its scientific reviewers. Names of the recipients are not scheduled to be released until after board action, which could come on Tuesday or Wednesday. However, the public summaries of the reviews generally contain enough information to determine the identity of the winners, if you are well-informed about stem cell research or willing to scratch around on the Internet. The summaries also contain the names of reviewers who were excused from examining the application because of conflicts of interest, both professional and financial, additional information that can help identify winners. The names of the applicants are not raised during the CIRM board discussion, which is public. The idea is the board members should be blind to the institutions seeking the funds. But some of the board members are well-versed enough in stem cell science to be able to identify applicants without an Internet search. The earlier de facto decisions, however, are made behind closed doors by scientific reviewers and some CIRM board members. The statements of the economic interests and potential professional conflicts of scientific reviewers are filed with CIRM but are not made public, a practice that has triggered public complaints by a few researchers. Others grumble in private, wary of making their views publicly known because CIRM controls $3 billion in grant money that might not come their way if they are too cranky. On tap for next week's meeting is discussion of a CIRM survey of its scientific reviewers regarding public disclosure of their financial interests. The results are expected to be negative, and the CIRM board is not likely to go against the wishes of its reviewers. Some CIRM directors fear the loss of reviewers if they are forced to make public their financial interests. The Little Hoover Commission, the state's good government agency, recommended the survey because of the power of the reviewers over the public purse. Some of the applications at next week's meeting are expected to involve loans to businesses, the opening foray into what is projected to be a $500 million program. CIRM directors are expected to go along with today's decisions on loan practices by their Finance Subcommittee. In response to a query, Don Gibbons, CIRM's chief communications officer, said that the subcommittee approved both staff recommendations concerning evaluation of recourse loans and changes in the loan administration policy. If you are connected to a biotech firm in California considering borrowing money from the state stem cell agency, now is the time to take a look at some important elements dealing with how to get the cash. They will be considered tomorrow at an 8 a.m. teleconference meeting of the CIRM directors Finance Subcommittee. Public meeting locations are in San Francisco, Irvine, Menlo Park, Los Angeles, San Diego and Waco, Texas. Specific address can be found on the agenda. We have not had a chance to read the background material carefully but wanted to call attention to its availability. One of the documents appears to have been posted only today. The two others seem to have been posted two days ago. Nature Reports Stem Cells, an online publication of Nature magazine, is closing its doors after more than a two-year run. The move is a genuine loss to the field. Edited by Monya Baker, the site carried high quality content that was accessible to all. Baker also wrote a blog called “The Niche,” which gave her an opportunity to move quickly as events demanded. Here is the text of a note that Baker sent to us concerning the folding of Nature Reports Stem Cell. “Well, my life has had less excitement than a hurricane, but I'm still feeling a little tossed about. “I’m sad to announce that Nature Reports Stem Cells and the Niche will cease operations this week. Happily, our feature stories, interviews, commentaries, research highlights and more will remain available on an archived site and available through searching Nature’s website. “When we launched in June 2007, we wanted to see how Nature Publishing Group (NPG) could build online communities by providing original content freely available to all members of a fragmented community as well as the interested public. The topic could not have been better: stem cell research was then – and is still – expanding and exciting. It requires highly varied experts to think and work together. Unfortunately, the business of scientific publishing is more difficult than the choice of topic. I will remain with NPG as technology editor of Nature and Nature Methods. Nature and its sister titles remain committed, as ever, to publishing new research and news about stem cells. It is a fine, warm, sunny afternoon here in Mazatlan. Tropical Storm Rick inflicted nary a scratch on Hopalong or its crew, but others were not as fortunate. The newspaper Noroeste reports that 20,000 are without power. Some may be without water. No water is available at our marina, but we have plenty in our tanks on Hopalong. The eye of Rick passed over us at about 8 a.m. MDT after a windy, rainy, rolly night. Then the wind kicked up again with gusts as high as 55 miles an hour in our marina, which is sheltered. One boat at a nearby marina reported gusts to more than 70. Rick dissipated rapidly as he moved inland, but continues to bring rain to communities in the mountains to our east. Some medium-sized branches, palm fronds and coconuts are on the ground here. An unmanned, 60-foot, ferro-cement sailboat, Griffin, broke loose at a nearby marina when bolts on a dock cleat failed. Fortunately it came to rest on a piling before careening into other boats. Sailors on other vessels then lassoed Griffin, so to speak, and secured it once again. Surf flooded the oceanfront floors of a condo nearby and a plate glass window blew out. Facing fell off an upper story of another recently built condo and the ceilings started to come down. Sheets of corrugated metal lay in the streets along with large pieces of roofing tile. One dinghy was reported flying through the air at the peak of the storm while it was tethered to a sailboat. Another small powerboat sunk at a dock. The California Stem Cell Report is a bit damp and tired from preparations for what is now Tropical Storm Rick, which is scheduled to hit our berth here in Mazatlan late Wednesday morning. Currently (11 p.m. MDT), Rick is predicted to have maximum sustained winds of about 60 miles an hour with higher gusts. That is down sharply from a couple of days ago. Then forecasters from the National Hurricane Center predicted that a hurricane would slam into mainland Mexico 100 miles or so to our north. Now Rick is much farther south and severely downgraded in intensity. But such are the vagaries of science. Winds are currently about 20 miles an hour. The temperature is 72 degrees. Rain is falling steadily with four to six inches or more expected. Mazatlan does not handle rain well. The water collects in many streets and runs off very slowly, closing them to traffic. Normal services, such as electricity and running, potable water, may suffer outages. Also the Internet, if you consider that a normal service. Outlying towns could be hit much harder. Our preparations involved removing everything from the boat that could fly away in the wind and storing it on land. That included such things as sails, awnings, shades and five-gallon jugs filled with diesel. We added extra lines to secure our vessel, Hopalong, to the dock. All hatches and ports were checked for leaks. The preparations, including adding food and water, took the better part of three days, partly because of the heat. A 180-mile-an-hour hurricane in the Pacific Ocean means that we will be focused this week on preparations for the storm and not on items for the California Stem Cell Report. We are currently in a Mazatlan marina on our sailboat, Hopalong, on which we have lived for the last 11 years. 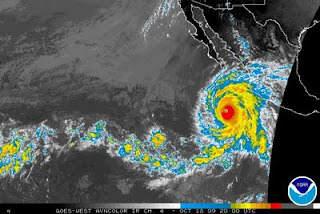 Hurricane Rick is expected to hit the mainland of Mexico Wednesday or Thursday at hurricane force, but down from its current velocity to only 100 miles an hour or so. Current predictions say the landfall will be north of us, maybe a couple of hundred miles, but the reliability of the forecasts is considerably less than 100 percent. So we will be stripping the topsides of the boat, removing sails, adding dock lines, putting in supplies, arranging for alternative housing ashore and so forth today, Monday and Tuesday. If all goes well, we may have some fresh CIRM stuff next weekend. The board of directors of the California stem cell agency late this month is expected to approve $210 million for disease team grants and loans, the largest ever research round for the five-year-old enterprise. The amount will push CIRM's grant total to about $1 billion, the bulk of which has gone to institutions with representatives on its board of directors. The agency has authority to spend another $2 billion, which it generates through California state bonds. When that runs out, the agency will need to find additional funding if it is to continue. The meeting Oct. 27-28 in Los Angeles will also mark the first ever loans made by the agency, which has plans to build the loan program to $500 million. The purpose of the loans is to assist biotech businesses that could not otherwise receive funding because they are in what as known as a “valley of death” financially. The expectation is that the loans will generate $100 million despite loan failure rates as high as 50 percent. Any profit is expected to be recycled as more loans or grants. Prior to the board meeting, the directors' Finance Subcommittee is scheduled on Friday to consider some basic matters concerning the loan program. The recommendations of the panel will go before the board at its meeting at the end of the month. No background information has yet been posted concerning those matters, which range from criteria for certain loans to unspecified changes in loan administration policies. Also on tap for the full board meeting is a discussion of the yet-to-be released results of a survey of the scientific grant reviewers concerning whether they would be willing to publicly disclose their financial interests. They are members of the Grants Working Group, which makes the de facto decisions on CIRM grants. The Little Hoover Commission, the state's good government agency, recommended the survey because of the power of the scientific reviewers, who perform their work behind closed doors. Questions have been raised about conflicts on the part of the reviewers, in private by some researchers, but some in public. It is commonplace for scientists to disclose financial interests in publication of research papers, but some CIRM directors fear that public disclosure of reviewer interests would result in the loss of some reviewers, who would resign rather than be subject to public scrutiny. The $3 billion California stem cell agency has reached a collaborative research agreement with China, according to a news report on the Internet. “In a story postdated to Monday, October 19, 2009, The California Institute for Regenerative Medicine (CIRM) revealed it has signed an agreement to collaborate on stem cell research with China’s Ministry of Science and Technology. “The announcement was little more than a headline. Details will most likely be released on Monday. As of this writing, we could find no other reports on the subject. We are querying CIRM concerning the item. The California stem cell agency has signed a $250,000 contract with Square 1 bank to perform a financial review of the firms seeking the first-ever CIRM loans in a program that could reach $500 million or so. In response to a query, Don Gibbons, chief communications officer for CIRM, said today that the fee-for-service arrangement covered only this year's $210 million disease team round, which is budgeted for 12 awards. Next Friday, the CIRM directors' Finance Subcommittee is scheduled to consider financial review procedures. Originally CIRM had hoped to have more than one firm available to perform reviews because of the possibility of conflicts of interest. But last month, the agency decided to go with one firm on a pilot project basis. John Robson, vice president for CIRM operations, said the next possible round of loans(early translation RFA) would not come up until the middle of next year. He said that would allow the staff to develop a more robust proposal that would engage more than one underwriter. Chris Woolley(see photo), president of the life sciences division of Square 1 in San Diego, offered the original bid on behalf of his firm. 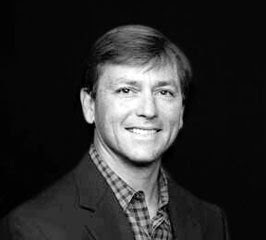 Woolley is a past president of the San Diego Venture Group and formerly served on the board of Biocom, an industry group in that area. Here is a link to Woolley's original proposal earlier this year. A key panel of directors of the California stem cell agency next week will wrestle with a few fundamental issues concerning its ambitious, $500 million biotech loan program. Matters such as the process for financial review of loan applications, unspecified changes in the loan administration policy and criteria for eligibility for recourse loans are on the table for a teleconference meeting of the directors' Finance Subcommittee. Biotech firms interested in participating in the loan program would be well-advised to sit in on the Oct. 23 session at one of eight teleconference locations. CIRM's lending effort, which will use borrowed funds (bonds) to make the loans, is slated to get underway with this year's $210 million disease team effort, the largest ever research round by CIRM. CIRM plans to loan money to risky enterprises that otherwise could not secure financing. Loan failure rates of up to 50 percent in the program have been predicted by CIRM. However, CIRM projections estimate that the effort will generate $100 million in profits that can be recycled into additional grants or loans. So far, no background information has been posted by the agency concerning the issues to be discussed Oct. 23. at next week's meeting. Interested parties can participate in the session at seven locations in California and one in Waco, Texas, where a CIRM director is expected to located. The locations in California include San Francisco, Irvine, Hillsborough, Menlo Park, Palo Alto, Los Angeles and San Diego. The California stem cell agency has hired the self-styled “boutique” executive search firm of Levin & Company, Inc., to help find a vice president for research, a new position created in the wake of the sudden departure of Marie Csete as chief scientific officer earlier this year. According to CIRM, Levin has signed a $100,000 contract with the agency. Levin beat out Korn/Ferry International, McCormack & Farrow, Caliber Associates, Russell Reynolds Associates, Spencer Stuart and The A-list. Csete announced her resignation in June and subsequently told Nature magazine that her advice was not respected. CIRM President Alan Trounson created the new research and development position with an eye to attracting candidates with more commercial research backgrounds. CIRM's salary range for the position tops out at $332,000. Levin has a long history in the life sciences industry. In its proposal, it said it had completed search assignments for CEOs for the following stem cell-connected firms: Osiris Therapeutics, Cellerant Therapeutics, StemCells, Inc., and ViaCell. The firm said its CEO, Christos Richards (see photo), would personally lead the search, personally interview each finalist and negotiate the final package. Research America, a national group that promotes medical and health research, has given its Gordon and Llura Gund annual leadership award to Robert Klein, chairman of the $3 billion California stem cell agency. 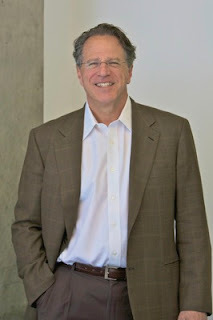 Klein has headed the California Institute for Regenerative Medicine since its inception and, in 2004, led the ballot campaign to create CIRM, which is headquartered in San Francisco. It was created to fund research into human embryonic stem cells, which former President Bush famously stymied during much of his eight years in office. Klein's agency is on track to approve $1 billion in grants by the end of this year and is the world's largest source of funding for hESC research. Klein, a Palo Alto, Ca., real estate investment banker, took no salary for his work until late last year. His personality, style and zeal have left an immutable stamp on CIRM. He will be honored at a dinner in Washington, D.C., March 16. The other day we read an article about how email is soon to go the way of letter-writing – done in by such things as Twitter and Facebook. Indeed, the changes reach far beyond that. A case in point is the news that CIRM Chairman Robert Klein is being honored for his leadership in stem cell research. When we Googled the terms “klein research america,” a reference to the award from “Research America” came up in the No. 5 position. But it linked to an item from Twitter (known as a Tweet) – not the announcements from Research America or CIRM. Neither showed up on the first four pages of the Google search results. The Standards Working Group of the California stem cell agency today gave the nod to changes in its standards aimed at achieving consistency with national rules for human embryonic stem cell research. The proposed regulations now go to the CIRM board of directors at its meeting in Los Angeles Oct. 27-28. California Gov. Arnold Schwarzenegger has signed legislation aimed at promoting stem cell science and training in the state's schools. The legislation was backed by the California stem cell agency and requires, among other things, that the state Department of Education post a CIRM model curriculum on department's web site. A Colorado congresswoman is planning to introduce legislation to codify the president's executive order permitting federal funds to be used for human embryonic stem cell research and to require periodic review of NIH research guidelines. “Usually, couples who go to in vitro fertilization clinics create more embryos than will be implanted. The remainder are either destroyed or frozen. The NIH regulations and the bill would allow couples to donate their embryos for research as long as they are fully informed of their choices and they are not compensated for the embryos. The guidelines give donors the ability to change their minds 'until the embryos were actually used.'" First it was Bill Gross, and then came Ronald George. Neither name is a household word, but they do have a cachet in certain circles. Gross is head of a $178 billion bond fund (Pimco Total Return) based in Southern California. George(see photo) is chief justice of the California State Supreme Court. What they have in common this month is their public scorn for the state's ballot initiative process, the method used to create CIRM and which lies at the root of the some of the problems that regularly trouble the California stem cell research agency. George's remarks surfaced during the weekend in both the New York Times, Los Angeles Times and The Sacramento Bee, among other news outlets. His comments followed an earlier blast by Gross that the government of the Golden State has been “perverted” with many of its financial difficulties stemming from ballot initiatives. The chief justice could have added that CIRM has fallen prey to the same problem. Prop. 71, the ballot initiative that created the agency in 2004, has handcuffed the $3 billion California stem cell agency in dealing with the problems created by its ill-conceived, super-majority quorum requirements as well a redundant limitation on the size of CIRM staff. Legally, the number of CIRM employees cannot exceed 50, probably about the number of persons needed to run a 24-7 Burger King. That amounts to one CIRM employee to deal with every $20 million in grants expected to be approved by the end of this year. That doesn't count another $2 billion to be awarded in the next five to 10 years. The timing of George's speech and its handling by his representatives seems interesting as well. The speech was delivered Saturday in Cambridge, Mass., to the American Academy of Arts and Sciences. But advance copies were placed in the hands of reporters at the Los Angeles and New York Times and The Bee in sufficient time for stories to be written and published before it was actually delivered. The California stem cell agency Monday takes up changes in its research standards aimed at achieving consistency with national rules for human embryonic stem cell research. The changes appear to be non-controversial although researchers and other interested parties would be well-advised to listen in on the audiocast proceedings of the 10 a.m. meeting of the Standards Working Group. Its discussions often shed light on questions that may pop up later when the standards are to be applied. If you can't tune in, CIRM has posted the regulations along with additional details and the Powerpoint briefing slides to be used at the meeting. The documents are also necessary if one wants to follow the audiocast. The rules being considered by CIRM apply only to research that is funded by the agency. Stem cell research in California that is not funded by CIRM is regulated by the state Department of Health. Having watched laws and regulations formulated for several decades as a journalist, creation of exceptions piques my interest. In this case, I wondered whether money could be made by using the proposed exception. What happens if human eggs have real economic value at some point in the future in terms of research i.e. a high demand and a supply shortage? Is it possible that crafty entrepreneurs could use the cover of IVF to generate eggs to meet that demand? CIRM firmly believes that will not happen under its proposed rules. Their intent is clear plus CIRM also reviews its grantees' research protocols and audits the institutions, the agency says. We also asked Hank Greely, a Stanford law professor familiar with stem cell issues, about the matter. Greely, who is not involved with the CIRM regulations, offered this quick and informal response that basically supports the CIRM regulation. “I think that's a defensible interpretation. She is being paid to 'donate' ('paid to donate' is odd wording, in itself) her eggs for reproductive purposes. She cannot be told, in advance, that not all of her eggs will be used to make embryos for reproductive purposes, because no one knows, in advance, how many eggs she will provide, how many embryos will thrive, and how many the recipient will need for reproductive purposes. She doesn't get any money because of the research use and she doesn't 'donate the eggs for research use' - the woman/couple who pay her for her eggs ultimately donate the embryos made from those eggs for research use. The egg donor gets the same amount of money whether the recipient ends up using all of the embryos created with the donated eggs for reproductive use or none. No more or less money changes hands depending on whether all the eggs are used for reproduction or some of the eggs are used for research. For an earlier discussion of the regulations, you can see the transcript of the standards group meeting on Sept. 18. Directions for hearing the audiocast can be found on the standards group agenda. The California State Treasurer's office this afternoon confirmed that the California stem cell agency will receive $118.5 million in fresh cash from the state's latest bond sale. It was good news for CIRM, which faced the prospect of running out of money by the end of next year, and a change from what was expected earlier this week. Tom Dresslar, spokesman for the treasurer, verified the figure in a phone interview. He also confirmed the accuracy of an Oct. 7 item, “No New Stem Cell Cash,” on the California Stem Cell Report, in which he was reported as saying that no additional funds were expected. Dresslar said his comments were reported accurately at the time, but the treasurer's office subsequently decided to allocate the cash to CIRM. California's sale of $4.5 billion in bonds this week will not mean fresh cash for the California stem cell agency. In response to a query, Tom Dresslar, spokesman for the state treasurer's office, said some of the proceeds will go to refinance earlier debt taken on to support the state research operation. But he said no additional funds will go to CIRM. The agency currently has enough cash to operate roughly through the end of next year. Its sole source of any significant revenue is California state bonds. The agency experienced a cash crunch earlier this year and raised the possibility of marketing state bonds privately. CIRM, however, received a $505 million infusion in April as the result of a $7 billion California bond sale. A subcommittee of the directors of the California stem cell agency today unanimously approved a $300,000 economic impact study of the agency's work by a firm that is expected to “execute a vibrant and aggressive strategy” supporting CIRM. Still up in the air is whether CIRM will allow other researchers and interested parties access to the basic data that will be gathered for the study at taxpayer expense. Much of the information will come from recipients of CIRM grants. In response to an email query, Don Gibbons, spokesman for CIRM, said the Governance Subcommittee approved the study to be conducted by LECG of Emeryville, Ca. Gibbons did not respond directly to questions about whether the data would be available to other, non-CIRM researchers, who could make an independent assessment about the financial impact of spending $3 billion for research. Gibbons looked askance at an earlier item on the California Stem Cell Report that discussed the issue of public availability of the information. Gibbons added that at the Governance meeting, CIRM Chairman Robert Klein “pledged that the (economic analysis) model created will be made public,” a statement that raised another question from us. “To double-check, your message....omits any reference to making the basic data public. The 'model' is different than the data used in it. CIRM's position falls far short of ensuring public and researcher access to the basic data, which is being generated with taxpayer funds. Bringing up patient privacy laws only confuses the issue. In virtually all major studies of this sort, individual names and personal information are not important to the analysis. The data are aggregated in an anonymous fashion. The important point is to build a database from the very start that is publicly usable and that does not co-mingle confidential and public information in such a way that harms its public accessibility. If the two categories are interwoven inappropriately, it could make the data nearly impossible to unwind. To fail to ensure public access to the basic information only damages CIRM's credibility, especially when the agency goes to Sacramento seeking additional funding. Klein has promised to adhere to the highest standards of openness. It is time for him to fulfill that promise. Will CIRM Withhold Economic Data?